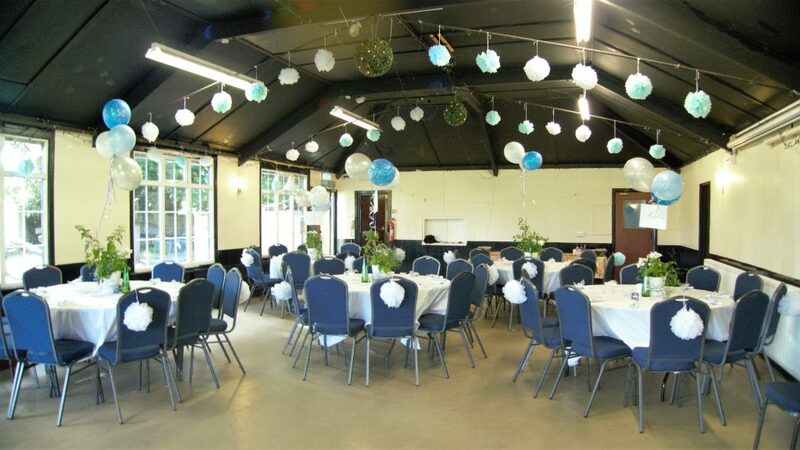 Charming bar and function room overlooking stunning lush green landscape, with mature trees and terrace, with the added benefit of a large car park for your guests convenience. Large function room or small bar area, available for your party’s celebrations, sports events and goodbyes . You are welcome to bring your own food and music to tailor your function for a day and night to remember. Well stocked bar with up to date quality products at very sensible prices. -Renting from £45 per hour. -Children’s Party rates from £200 for 2 hours. A fee of £100 is required to confirm the booking. Cancellations before one month of the booking date will represent a full loss of the deposit. Social membership is £50 per household per year and grants you access to the clubhouse and grounds. Please contact James Marsh to sign up or to learn more. Interested in hiring our venue?